Impressive styling yields a full-length lux chiffon dress that works in a variety of formal settings. 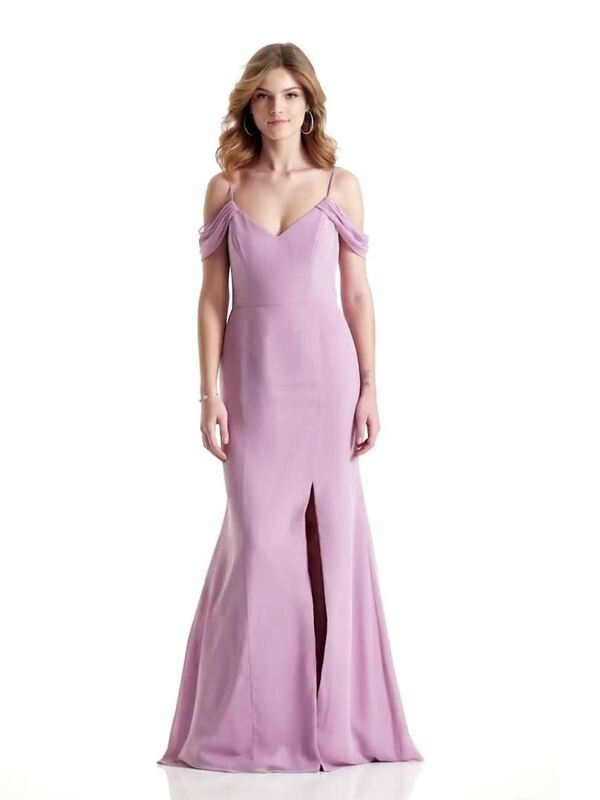 Enjoy a light and airy chiffon construction with a sweetheart neckline and cold shoulder detail joining a draped cap sleeve. A modified trumpet skirt brings its silhouette into elegant balance.